This whole book is a delight. It is the diary of a sacred journey, through sacred space, and through the heart and mind - a book to use, to keep and to remember. 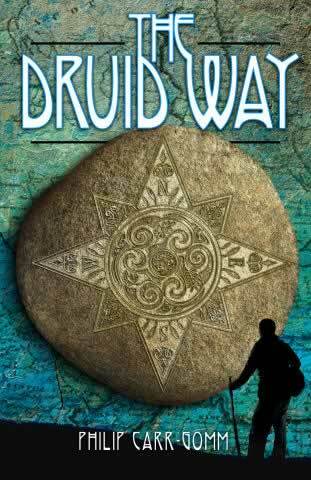 In The Druid Way, Philip Carr-Gomm takes us on a journey through the sacred landscape of Southern Britain and as he does so, we learn about Druidry as a living tradition of the land and its people, a tradition that is as relevant today as it was for our ancestors. As we walk the ancient tracks across the South Downs we encounter dragons and giants, ancestral voices and ancient places that speak to us of the beauty of a spiritual way that still exists and can still be followed. We learn how Druidry can help us to sense again our kinship with nature and how following the Druid Way can lead us towards a profound sense of oneness with all life. This new edition has been extensively revised and includes the complete ceremonies of three Rites of Passage, a guide to the sacrfed sites of Sussex and a Foreword by Cairisthea Worthington.